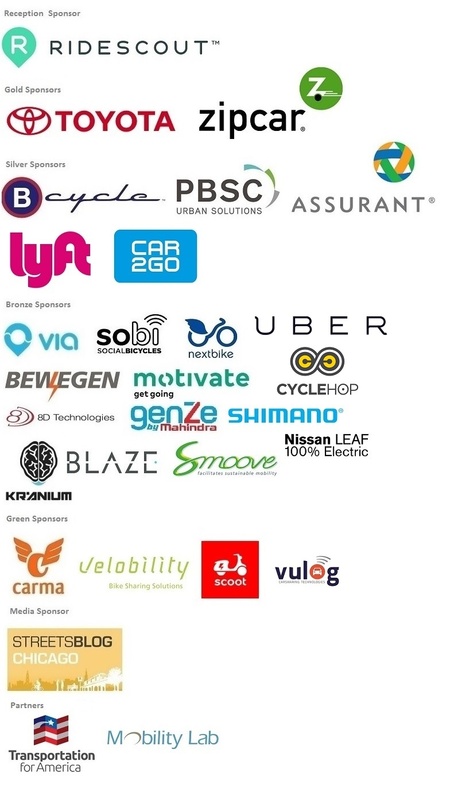 The click here 2015 National Shared Mobility Summit Move Together will bring together transportation and policy leaders from across the country to discuss new developments in shared mobility, foster collaboration between the public and private sectors, and explore new solutions related to integration, equity, use of public space and more. The summit will take place at Venue Six10 (formerly Spertus Institute), located at 610 S. Michigan Avenue, Chicago, IL 60605. The venue is located near several transit lines including the CTA Red, Blue, Brown and Orange lines. Chicago Athletic Association Hotel. Rates here are $229 per night plus tax. Please click here for the block rate, or call 844-312-2221 and refer to the Shared-Use Mobility Center for the group rates. Reservation requests received after Tuesday, September 1, 2015, will be accepted on a space available basis at the hotel’s published rates. There are variety of transit options within Chicago and surrounding suburbs, including the Chicago Transit Authority (CTA), Metra rail, taxis and Uber/Lyft. The Blue Line offers 24 hour service with more frequent service during weekday morning and evening rush hours. You can also connect to most other CTA lines through the Blue Line. To see the most up-to-date schedule and timetable, visit the CTA website here. The nearest stop to the summit venue at is LaSalle. The nearest top to the Chicago Athletic Association hotel is Monroe. The CTA Orange Line provides rapid transit train service between Midway Airport and downtown (Loop), and provides service to Chicago’s Southwest Side. To see the most up to date schedule and times of the Orange Line, visit to the CTA website here. The closest Orange Line stop to the venue is Harold Washington Library/State/Van Buren. The closest stop to the Chicago Athletic Association hotel is Adams/Wabash. Union Station is located at 500 W. Jackson, approximately 1 mile west of the venue. There are several travel options between the station and the venue including CTA bus (routes 20, 56, 60, and 157 all run from Washington and Canal to Michigan Avenue), taxi and Uber/Lyft. 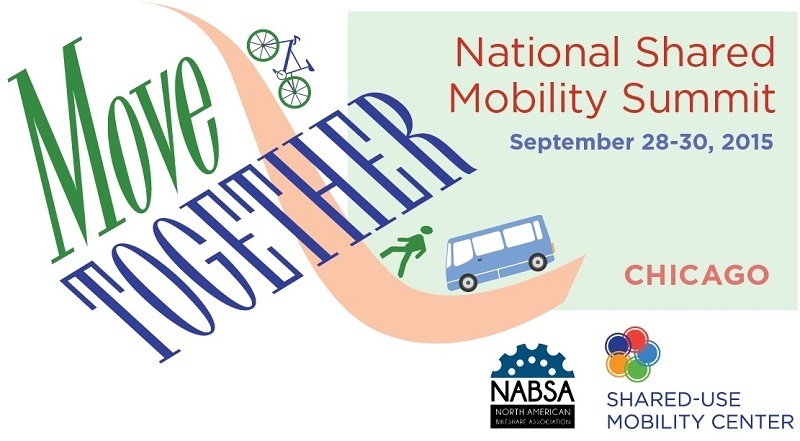 Please email natalie@sharedusemobilitycenter.org with any questions. Move Together will feature a series of interactive, hands-on sessions with influential mobility leaders as well as advanced practitioner break-outs. For the full program with locations and full descriptions of sessions, download the Move Together Program Book. To get the program schedule on your phone, you can download the “Grenadine Event Guide” mobile app from Android or iTunes. After downloading the free app, enter the code “sumc15” to access the schedule including session descriptions, locations, and speaker info. SUMC is a public-interest organization working to foster collaboration in shared mobility and help connect the growing industry with transit agencies, cities and communities across the nation. SUMC executive director Sharon Feigon was previously CEO of Chicago’s IGO Carsharing, the nonprofit organization established by the Center for Neighborhood Technology that started carsharing in the Chicago region. Under Sharon’s leadership, IGO grew from a small pilot project into a successful operating company with 15,000 members in 45 neighborhoods. Motivate is the leading global company developing and implementing large-scale bike share systems, including in New York and Chicago. CEO Jay Walder has enjoyed a distinguished international career in the public transportation sector, having served as CEO of MTR Corporation in Hong Kong, Chairman & CEO of the New York Metropolitan Transportation Authority (MTA) and Managing Director, Finance and Planning at Transport for London, where he was credited with the introduction of the city’s multimodal Oyster fare card. Ford’s Smart Mobility plan, introduced earlier this year, focuses on delivering the next level in connectivity, mobility, autonomous vehicles, the customer experience and big data. Ford announced the plan in January, along with 25 experiments – including carsharing, e-bikes and dynamic shuttles – aimed at better understanding consumers’ mobility needs around the globe. Jack Lavin, Former Chief of Staff for Governor of Illinois, President at Lavin Strategies, Inc.
A question and answer session with experienced bikeshare operators. Attendees will compare existing business models and consider the best approach for their cities. Two of transportation’s foremost experts will share insights from their new books. In “Start-Up City”, Gabe Klein –former DOT director in Chicago and Washington, D.C. and currently a Special Venture Partner at Fontinalis Partners – explores “public entrepreneurship” and ways to quickly drive big change in cities. In “Street Smart: The Rise of Cities and the Fall of Cars”, Sam Schwartz – former New York City Traffic Commissioner and founder of Sam Schwartz Engineering – examines the role “smart streets” play in driving urban transformation, rolling back congestion and smog, and improving America’s cities. 9:45 Connecting the DOTs: What Can Shared Mobility Do for Cities? These breakfast sessions may include discussion of innovations subject to confidentiality agreements and are therefore limited to persons responsible for ownership, operation, or oversight of systems using same back-end vendors. Can planning pros help us build support for expansions that meet utilization, equity, and financial goals? Comparing performance at station level. Should target be 28 stations per square mile, everywhere? Post-mortem on Chicago expansion and Philadelphia launch planning. State of the industry. Opportunities to strengthen sponsorship relationships and ad values. Finding your voice and maintaining it after bikes aren’t new. What is ROI on my social media investment? Integrating social media with customer service and operations communication. Reducing battery swaps and making your battery investment last. Finding and retaining a great operations team in a job-seeker’s market. After lunch outside, take a Divvy to Motivate’s shop (about 4 miles). Reconvene at 1:15. The Motivate Divvy operations team will lead a discussion with operations directors, bike designers, components suppliers, and mechanics on fleet maintenance and redistribution. Compare tools and techniques and learn the tricks of the trade. Follow-up to webinar on latent demand. Discussion questions include: how much redistribution is sustainable in your city? How can you establish and meet customer expectations appropriate for your city context? How do you manage surge pricing? How can you incent customers to rebalance? Presentation summarizing pricing and product configurations tested in 2015. What worked and what tanked? Will the difference between members and casual users disappear? Are simpler user fees better for your city? Touchless payments, e-bikes, smart bikes, wrist phones, better batteries and solar panels, faster data connections, and who knows what else will make our current equipment outdated. How can you keep your equipment in step with latest tech? How can keep running when nobody makes that old touchscreen or card-reader anymore? This session will bridge the communication gap between cities and entrepreneurs on technology obsolescence and upgrade. CMAQ, TIGER, STP and more will be discussed during this session. Panelists will explore the regulatory framework of programs that support active transportation, eligible costs, and the summary of the grant/awards received in 2015. A review of strategies for bikeshare systems with funding, ownership, or oversight through multiple local jurisdictions. Panelists will discuss integrating pricing, product, and marketing strategies and sharing of revenues and responsibilities in a regional setting. Attendees will learn when to say yes, and how to say no, to satellite expansion. Presentation summarizing marketing strategies and promotions we tested in 2015. What worked and what tanked? Facilitated discussion to refine existing strategies and develop new strategies to remove barriers, drive trial, and encourage participation in diverse communities. Many operators continue to use Oliver OBrien’s Bikeshare Map for daily redistribution. Can we create tools that will drive greater efficiency on the street and create greater reliability for our customers? Can predictive modeling make “rebal” less art and more science? A discussion of the Americans with Disabilities Act (ADA) requirements applicable to bikeshare systems, including site planning considerations, potential accommodations, and strategies for partnering with other service providers. Evaluate and recommend additions/changes to NABSA 2016 Federal Policy Objectives. NABSA Board will adopt Objectives that will guide its work with People For Bikes and other legislative allies in 2016. For more information on sponsorship, please contact Eric Heineman at eric@sharedusemobilitycenter.org.